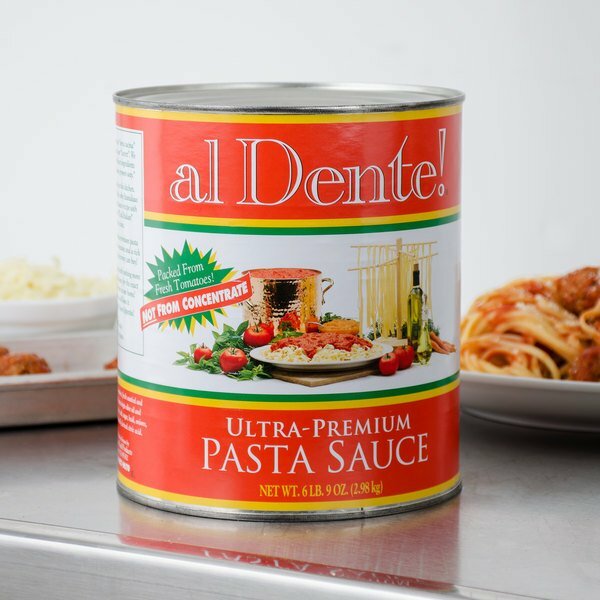 Utilize the convenience of ready-to-serve pasta sauce without compromising a fresh, homemade taste with this Stanislaus Al Dente ultra-premium pasta sauce. This ultra-premium pasta sauce is perfect for virtually any pasta dish, as well as your delicious chicken or eggplant parmesans. 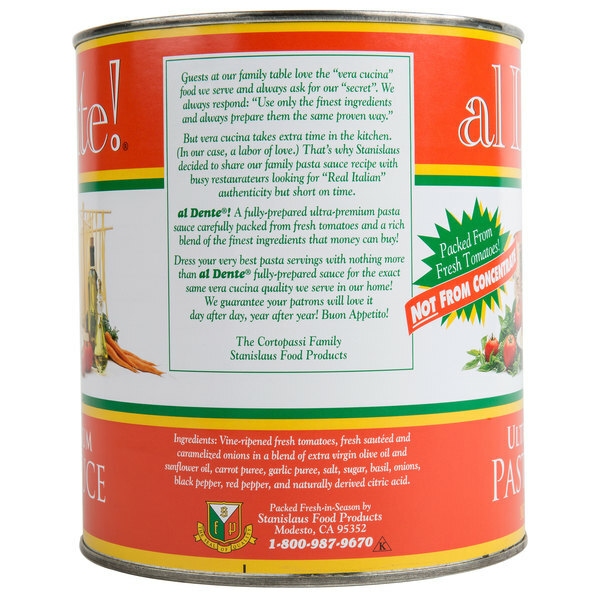 Packed with high quality California vine-ripened tomatoes, extra-virgin olive oil, caramelized onions, finely purred carrots, and a blend of Italian seasonings, this sauce provides the wholesome, real Italian flavor your customers crave. The tomatoes experience minimal exposure to flavor-damaging heat to maximize the sauce's flavor profile. Plus, this sauce is packed from fresh tomatoes, and not from concentrate for maximum freshness. Not only does this flavorful sauce taste great, but it provides the best in a convenience-ready #10 bulk can, so there's no need to expend kitchen prep time creating pasta sauce from scratch! This is a good pasta sauce with a good texture. I had to doctor it up with extra spices, but it worked out well. The price is good. 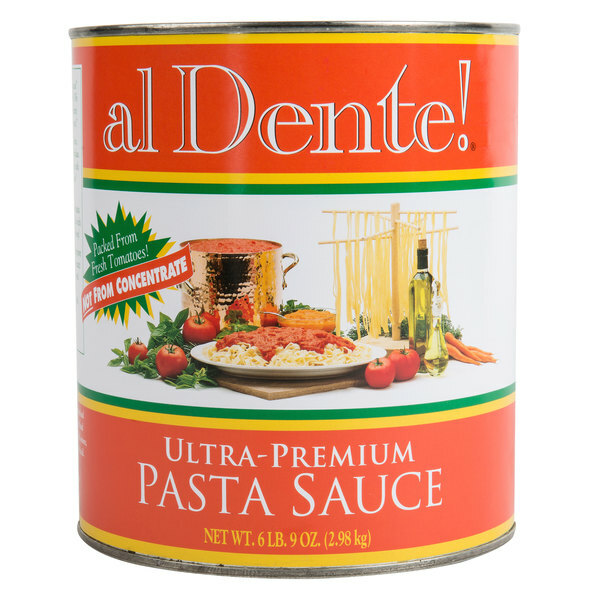 The Stanislaus al dente ultra-premium pasta sauce is delicious. I love the great flavor and the quality so unbeatable. A great price and love the cans.